This impressive and striking helmet is a stunning recreation of a helmet found in a burial at Sutton Hoo in England. Named after where it was found, this Sutton Hoo Deluxe Helmet is an intricate piece of armor that features decorations worthy of a king. 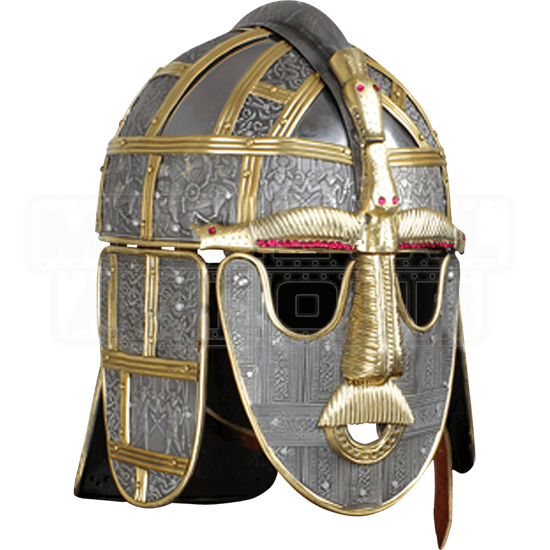 Like the original helm, this impressive replica features ornate designs across it surface. The helmet is a modified spangenhelm design, possessing hinged cheek pieces, a rear neck guard, and a face guard, although each and every piece has been decorated with elegant designs as well as attractive brass fittings. A central ridge runs down the helms centerline, while the helms face features ornate fittings that replicate eyebrows, a nose, a mouth, and mustache, while leaving the eyes open so that the wearers eyes can be seen underneath the steel. Made from quality materials, this helmet is a fantastic display item that will leave others awed when they witness it. 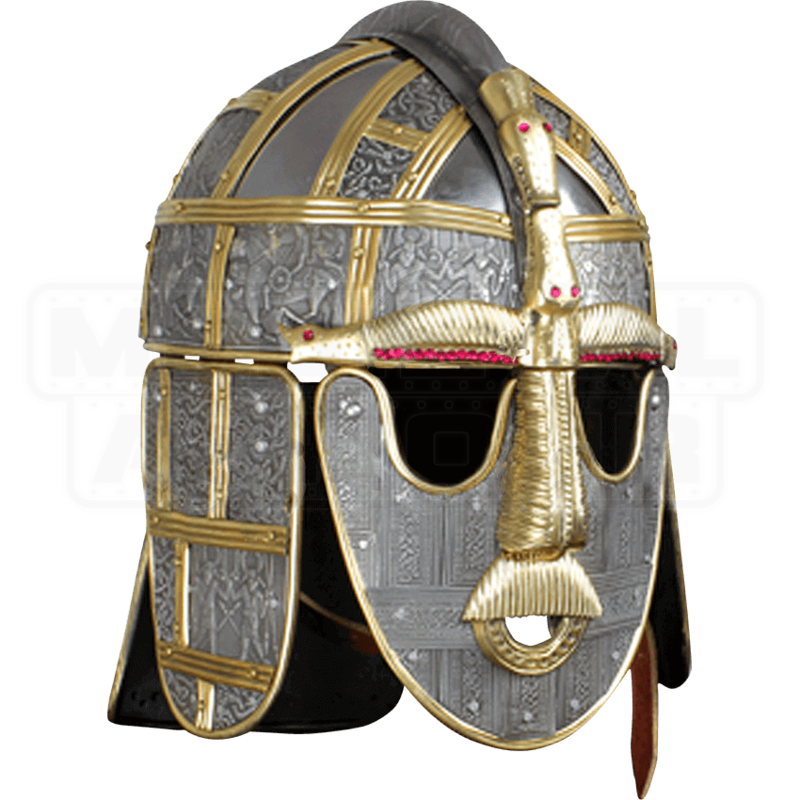 And as an added bonus, the Sutton Hoo Deluxe Helmet is a recreation of a historical artifact, which makes it a fantastic way to include a touch of real history into your own medieval decor, or even your own medieval costume!